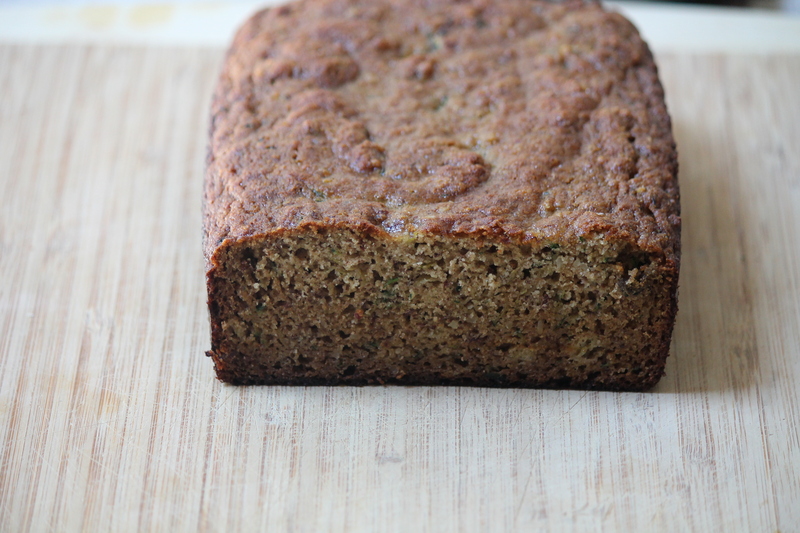 I’ve been going crazy this summer adding zucchini to baked goods because I love the moisture it provides not to mention it’s another quick and easy way to add in more veggies. There’s so many uses for this beloved vegetable so it’s a good thing there’s always an abundance of them in our gardens and the markets during the summertime. And by garden I don’t mean my own, otherwise, it most definitely would not have made it. 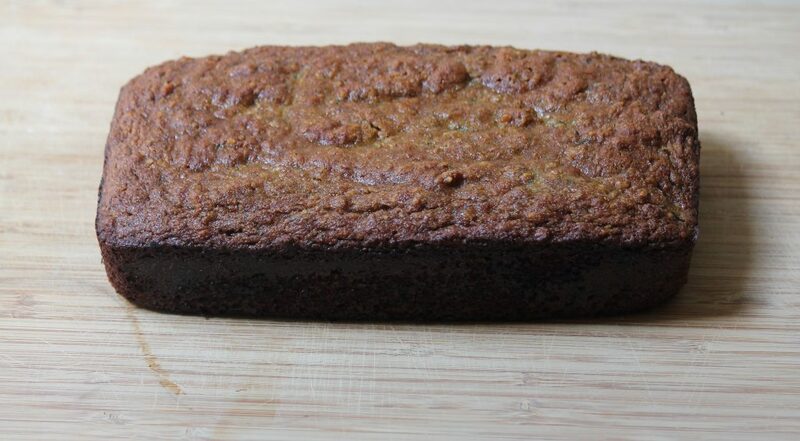 Before we start moving on to all things pumpkin let’s take advantage of the last of summers produce while we can with this healthy and delicious zucchini bread. It’s both gluten and dairy-free and is naturally sweetened with honey (or you could substitute maple syrup). If your still wanting to hold on to summer but find yourself warming up to the idea of crisp cool weather, boots and scarves then this recipe is for you. 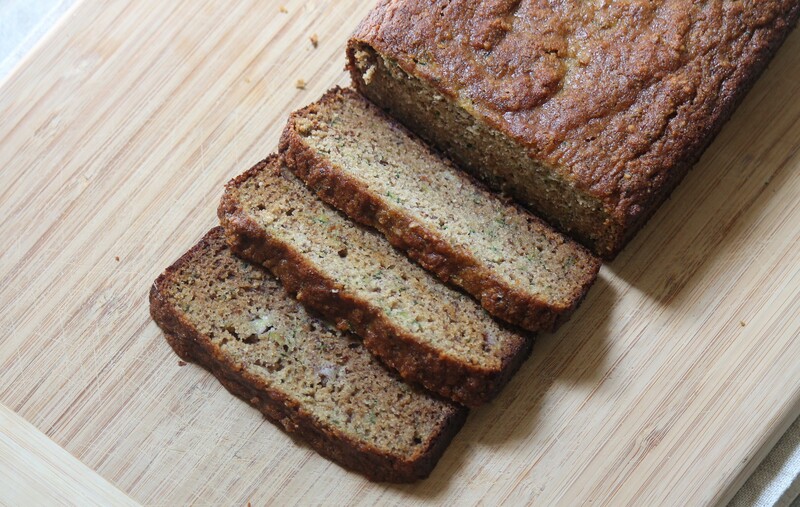 This zucchini bread is a good transition into fall as its spiced with cinnamon and nutmeg to give it a subtle yet comforting and aromatic flavor. This zucchini bread is moist and tender and simply perfect for breakfast or a morning or afternoon snack. It’s fantastic toasted and spread with butter (dairy-free) or peanut butter, which is my personal favorite. Press the zucchini between two paper towels, squeezing lightly to release excess moisture. Combine all the dry ingredients to a medium-sized bowl (flours, baking soda, salt, cinnamon and nutmeg). Place the eggs, honey and banana in the bowl of a stand mixer and beat on medium speed for one minute. Add the zucchini and beat until everything is fully combined (15 seconds). Slowly add the dry ingredients to the mixer until everything is fully incorporated. Pour batter into the prepared loaf pan and bake for 40-45 minutes or until the middle is set and cooked.